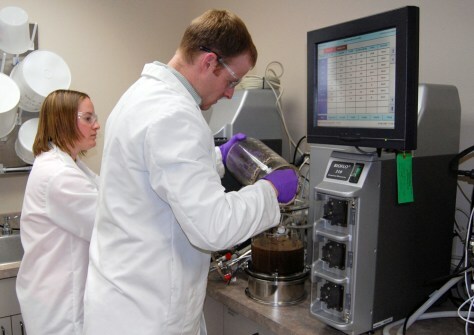 Workers at a lab in Sioux Falls, S.D., add ground corn stover, water and enzymes to a fermenter on April 24. They work for Poet, a company that produces about a billion gallons of corn-based ethanol each year. It now has plans to produce cellulosic ethanol from corn cobs.